Emma Forbes,47, radio and television presenter loves to start her day with Avocado on rye bread. 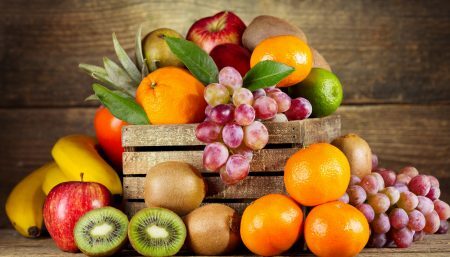 WF bring you ten terrific ideas to make this nutrilicious fruit a part of your diet. It is a fruit, that is usually eaten as a vegetable. 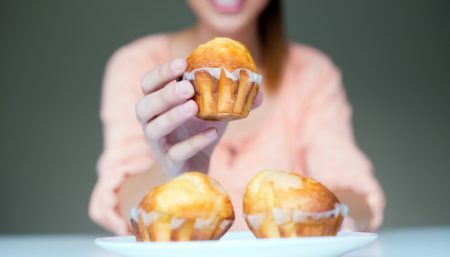 It is a good source of healthy monounsaturated fat that may help to reduce level of a bad type of cholesterol in body. Avocado is a good source of vitamin E and can help to maintain healthy skin and prevent skin aging (vitamin E may also help alleviate menopausal hot flushes). It is rich in potassium which helps prevent fluid retention and high blood pressure. Avocados can be incorporated into your meals and snacks in so many delicious, satisfying ways. 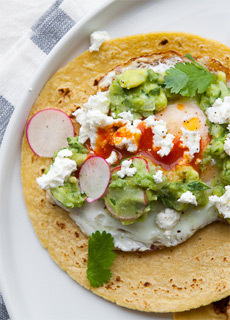 Here are 10 great ways to use avocados. 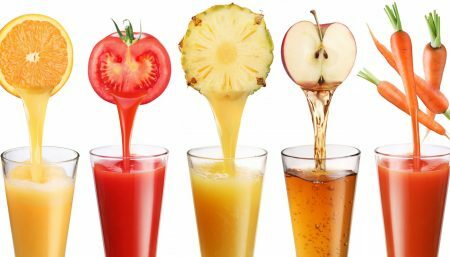 As Smoothie: Try smoothies made out of avocados, including versions mixed with other green ingredients like cucumber and kiwi, or fruits such as blueberries, strawberries or pineapple for a healthy start. Avocado juice is a drink that is rich in vitamins, ranging from vitamins A, B, C, and vitamin E. In addition, avocados contain a variety of juices and other mineral substances such as proteins, carbohydrates, unsaturated fat, oleic acid, iron, phosphorus, calcium, folic acid and fiber. Opinion that said drink avocado juice can make our body fat is very counter to the study of the journal ‘Diabetes Care’, which revealed a person consuming the diet with monounsaturated fats can burn body fat, especially the abdomen. Appetizer: The presence of beta-carotene, chlorophyll, vitamin E, and B-complex vitamins in abundance in avocados, make it a health-filled appetizer. Top whole grain crackers with thin slices of avocado and smoked salmon to create a delicious party appetizer. Salad: In one study, when participants ate a salad containing avocados, they absorbed five times the amount of carotenoids (a group of nutrients that includes lycopene and beta carotene) than those who didn’t include avocados. 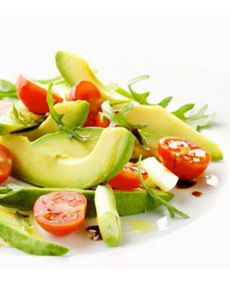 Garnish vegetable, fruit and whole-grain salads with diced avocado, and then toss gently to mix. Combine avocados with berries, apples, and mango chunks for a tasty fruit salad. 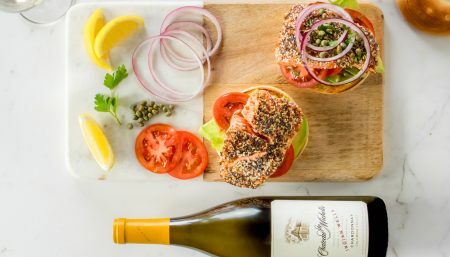 You can also try a creamy potato salad with chopped avocados, boiled new potatoes, and diced celery, and moisten with a sprinkling of lemon juice, wine, and olive oil. For a charged Mexican food, you can add diced avocado, diced bell pepper, and sliced scallions to cooked pasta, and dress with a mixture of extra-virgin olive oil, vinegar, and mustard for a tasty pasta salad. Salsa: Create a deliciously different salsa by combining diced avocado, chopped tomatoes, corn kernels, chopped cilantro, pepper, and cayenne. Arefreshing alternative to red tomato salsa. Sorbet: Substitute avocado for another fruit in any sorbet recipe and include lemon or lime juice to bring out its flavor. For a chilled Avocado sorbet, Slice the avocados into thin strips and splash it with lots of lime juice. This is to keep them from browning, and add flavor to the sorbet. Freeze ahead of time, you can do this the night before or 3-4 hours ahead. This sorbet is flavored with lime juice, lime zest, and cilantro. Chop cilantro, prep the lime zest, and pour simple syrup and corn syrup put it in the fridge to keep it cool (30 sec). Pulse until smooth (should take 3 minutes max). Serve in a chilled cup. Topping: Top baked potatoes with avocado butter, made by mashing a ripe avocado with one tablespoon of lemon or lime juice, salt, and pepper. 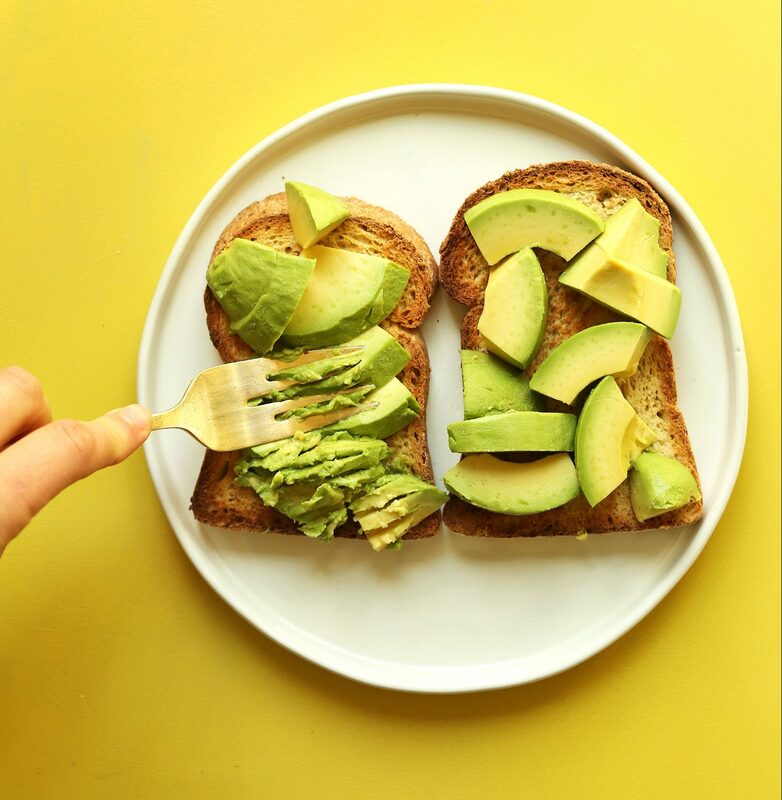 Breakfast nourishment: Mash half an avocado with a fork and spread it on whole-grain bread or toast for a quick, nourishing breakfast or add diced avocado to eggs or omelets before cooking. Full Meal: Stuff avocado halves with brown rice and olives and garnish with a sprinkling of bleu cheese. Sandwiches: Put sliced avocado in wraps and sandwiches. Mashed avocados make one tasty spread alternative for turkey, chicken or roast beef sandwiches or wraps. They also add an extra creaminess to vegetarian sandwiches. If you want to cut some of the fat in tuna, egg, seafood or chicken salad and still keep the creamy taste? Try using avocados in place of some other spreads; they make the salad “greener” while still maintaining the moist and delicious flavor. Dessert: Avocado makes creamy pudding, mousse, and ice cream and moist cake and brownies and other desserts, many of them vegan desserts.